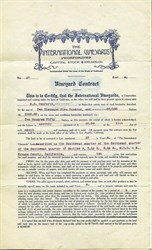 Historic vineyard contract from International Vineyards Incorporated issued in 1909. 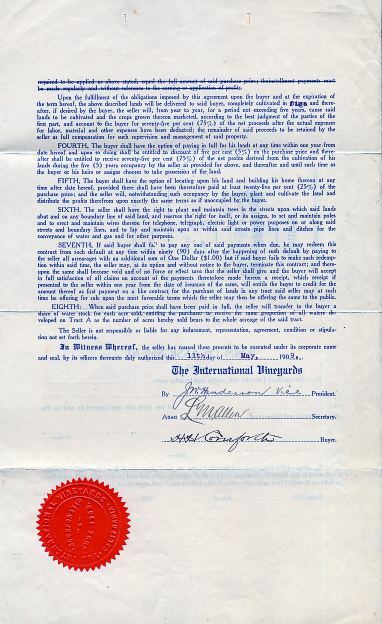 This historic document has an ornate border around the company name. This item has the signatures of the Company’s Vice President, J. W. Henderson and Secretary, L. M. Allen, and the buyer H. H. Comforth. This item is over 100 years old. This would look terrific framed.